Our children don’t feel financially beholden to us and because we have no propriety interest in their property, we’re more likely to refrain from giving unwanted advice. In addition, our children have no sense of entitlement to our other assets. I have seen this happen when parents help with mortgages and understandably, the parents are resentful. However, our daughters and their husbands have been able to afford mortgages without our help. Our youngest child has yet to show an interest in buying a house and with his current income it would be impossible. So we may yet be providing help with a mortgage. If we do help, there are pitfalls to be avoided. Scott Hannah, President and Chief Executive Officer for Credit Counselling Society, warns parents that children ultimately need to be responsible for their own financial well-being. Eli Boucher, Branch Manager of a TD branch in Ottawa, says the easiest and most direct way to help is to give a cash gift. This is particularly useful if it brings the child’s down payment up to at least 20 percent of the value of the house, which is needed to bypass the costs of Canada Mortgage and Housing loan insurance. To avoid your gift being split between your child and his or her spouse in the case of a marriage breakup, financial advisors often suggest that couples sign an agreement stating that the entire amount would be the sole property of your child and not a marital asset to be divided between them. Paul Stead, manager of a Scotiabank branch also in Ottawa, suggests that if the parents are helping with a large amount, they take out a second mortgage on the home. The parents will still have a claim on that amount if a marriage breakup occurs and the property cannot be re-financed without the involvement of the parents. Another way of helping is to co-sign the mortgage. Mr. Boucher says this typically happens when the child has a poor credit rating or does not have the capacity to repay the mortgage. However, the parents could find themselves paying for the entire mortgage if the child does not honor his or her commitment. As for us, if we do help our son, we will need to ensure we play a fair game and give our daughters a similar gift. Mr. Stead reported that he has seen cases where children expect that if parents help one child financially then the siblings expect the same. At times, it can create animosity amongst the children, he said. Have you helped a child finance a mortgage and if so, why and if not, why not? I would love to hear from you. Please leave your response in the Reply Box below. For more information on helping to finance your child’s mortgage (or not) read Rob Carrick of the Globe and Mail and Ted Rechtshaffen of the Financial Post. We have co-signed for both of my daughters. They are both self-employed single parents who were not considered good risks by the bank without a co-signer. The first daughter was in 2003 and the second in 2010. I have never been asked for further support. I did not want the grandchildren to live in apartments and I wanted to help my children build some assets. They are now both in their 40’s. My second daughter applied for and got a provincial grant for the down payment. If she remains in the house for 20 years she will not have to pay it back. I thought that this is the best way to be supportive while insisting on independence. Yes, I know we could be held responsible if either of them cannot pay the mortgage- this could happen to the self-employed who have very little insurance. If so, we will have to bite the bullet but so far so good. My son is not yet at the point of wanting a house. We will look at the best way to help, if he needs it, should he make the decision. It is great to hear that helping your kids financially has worked out for everyone. When the kids can accept help and not ask for more, it speaks to their maturity and an understanding of what is acceptable to their parents. It doesn’t always happen this way. We have helped all four of our children with mortgages; it has not led to any resentment between them even though the amounts have been different. We have held or do hold interest free second mortgages in most cases. They have agreed to repayment schedules and honour them. We were not very indulgent parents and are often teased about being a bit too conservative with our savings; helping our children buy houses is some justification for our savings and provides us with some cash flow! Resentment on our part is sometimes tempting when we note they are spending foolishly but so far we remind one another that it is none of our business. They may not achieve the savings we have but we note that generations generally correct one another in that regard and they are all extraordinarily kind and generous. It is so great that some parents can help their kids financially without creating problems in the relationship. I would think that this would be a result of a postive pre-exisiting relationship and the financial help would just be another part of the total happy package. 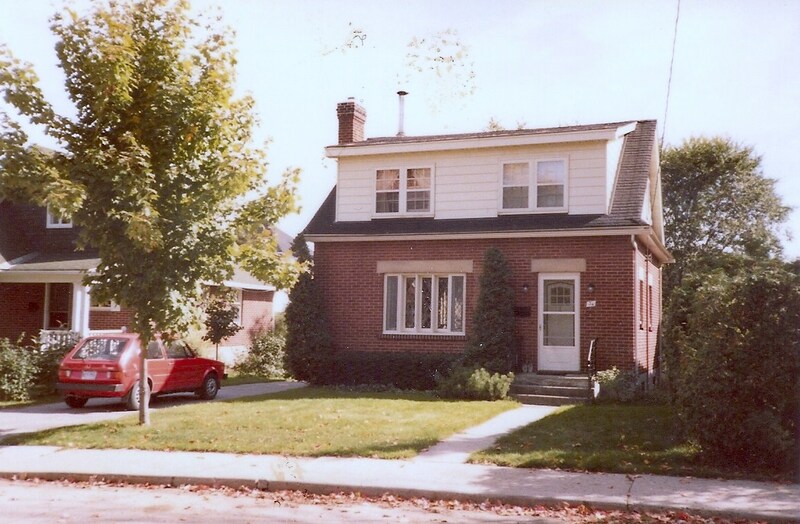 My parents have gifted me some money that has gone towards the house, but it was never an amount that would have “made or broken” us getting a mortgage, hit the magical 20 per cent, or impacted the size of house we purchased. Those decisions were all made independent of any expectation of assistance – because it wasn’t expected. Now that my parents are retired and solid with their finances, they have worked out ways to help us now (rather than waiting for any inheritance) by transferring some set amounts to us (my brother and myself in equal amounts) that we’ve used to help for various larger financial purchases. Ie: We put some to the house and some helped pay for our wedding. They also gift us the money annually for our kids RESPs. It was never expected – as my parents also raised us to be financially literate – indeed my father took me to set up my RRSP once I got my first part-time job at 16 – but we are very thankful. I hope to raise our kids to be equally financially literate. My parents helped me graduate university debt free and taught me early about living within your means, saving and investing. They are all lessons that started small, but that I have continued to apply to larger sums as I got older. All that to say, I don’t see a problem helping kids with big purchases as long as that’s what it is – help. Not doing it for them. It is interesting that you state that the gifted money did not affect the size of the house you bought. Analysts sometimes say that if parents do want to help financially, it is often advisable to give the money once the house has been selected so that the adult children are not tempted to get a bigger house with ongoing expenses that are larger than they can afford. Great to read you blog about helping children with financial support, it has come at a time when we are considering this. We have ensured that our children, 2 girls and a boy, now in their mid to late 30s, have learned to work/study and achieve their own goals. Fortunately their spouses also have the same work ethics. My husband was recently hospitalised and now feels he would like to help our children financially, rather than they wait for our passing. Each of our children have said they do not need support from us, although they are all working and paying off mortgages, all have different external financial pressures. We plan to make a deposit into their bank accounts with no strings and tell them only after we have received settlement cheques and the transfer has been done sometime in July. Thanks for your comments Hazel. Good on you and your children that they have told you they don’t want financial support from you. It’s lovely that you and your husband want to help them now, while you are both alive and when the children need it. I understand why you are doing this. We helped our younger daughter with a mortgage when she was left with 3 young children and no assistance from her ex., the father. She has since sold it and bought a better home, with no assistance from us as she now has a good job. Our older daughter was not helped financially but she, with her young daughter, moved in with us for a few years until she was able to support them both. Our son has not needed our help but we must make sure that he is given the equivalent amount at some time soon – not sure how to calculate that! My in-laws were kind enough to help with an interest free loan when we put on an addition to our house. We wanted to put just a larger kitchen but they insisted that we add a master bedroom and bathroom. They said we wouldn’t have done it later. They were right and we continued to give them mortgage payments until they died and our loan was forgiven. They wanted to see us settled into our permanent home and said they could enjoy that satisfaction while they were alive.